Philip is a new, reluctant patient. He hasn’t been in therapy before, isn’t sure “how it works,” and doesn’t know for sure why he called. He’s getting into disagreements with people at work. He’s not sure why. Yes, he does tend to be a bit obsessive. 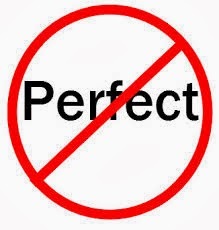 Maybe his coworkers are put off by his insistence on perfection. 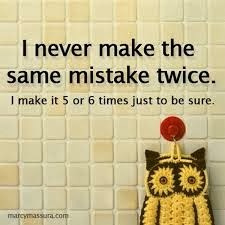 And yes, he does worry about making a mistake. It makes him anxious. What if he did something “wrong” and “something bad” happened as a result? In our first several sessions I’ve focused on the harsh voices that exist in Philip’s head telling him that danger lurks around every corner. I’ve also tried to explore what feelings exist underneath his anxiety and his need for perfection – anger, sadness, fear? He steps gingerly into those feelings – perhaps he is angrg that he was passed up for promotion – but scurries quickly away. “What did Samantha say to you?” I ask as neutrally as possible. “And that’s why you spanked her?” I ask, the neutrality slipping from my tone. “A particular type of father,” I say, ignoring that Philip has not told me how he felt. “I don’t know,” I reply. “It depends if your daughter capitulates to you or resists. It depends if you break her spirit like your father broke yours or if she’s able to fight back.” I fought back. And I’m routing for his daughter. I stop. Philip is right. He’s my patient, not his daughter. I’ve gotten into a debate with him, trying to convince him of my way of thinking, rather than trying to understand his. I’m being just like him, his father and my father, trying to convince him of the correctness of my point of view. My past, my relationship with my father has affected my ability to be the good-enough therapist. Not trying to minimize my contribution to this interaction, I also realize that I have re-enacted a scenario typical of patients with this harsh, rigid conception of right and wrong. They are often battling the voices in their head – is this right or wrong? am I right or wrong? – and those battles can get projected into interactions with others. The fight then becomes externalized and is played out with me, coworkers, wife, daughter, or whomever. “What are you thinking?” I ask. Hi Teresa. Thanks for your response. Yes, enactment and rupture definitely happens to us all. Will have to wait and see what develops.